Thank you for visiting the website for the Samaritans of Horsham & Crawley. We have been located in Denne Road, Horsham since 1973 having previously been in Park Street. The Samaritans service is available 24 hours a day to provide confidential emotional support for people who are experiencing feelings of distress or despair, including those which may lead to suicide. 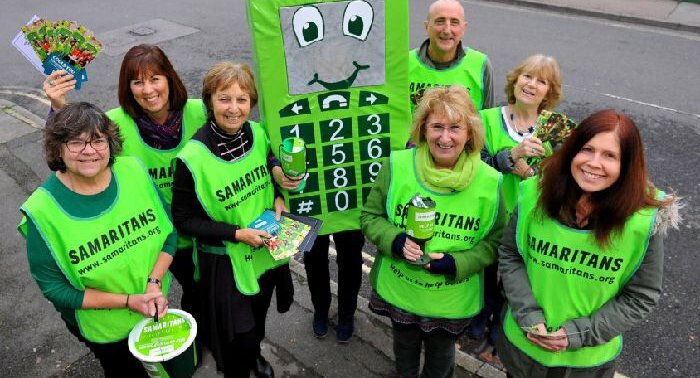 There are 200 branches of Samaritans in the UK, all of which are self-funding and staffed entirely by volunteers. Those in need of our service are able to telephone our branch or call in to talk to a listening volunteer. We also have an Outreach Programme where volunteers visit schools and various organisations. Samaritans are looking for an ordinary person like you to join ordinary people like us doing extraordinary things. Are you interested in finding out more about Volunteering with us? If so, please come along to our next Information Session on Saturday 11th May at 10.00am at 21 Denne Road, Horsham and find out more about what we do. Samaritans of Horsham and Crawley, a charity registered in England (1168031). Samaritans of Horsham and Crawley is a recognised branch of Samaritans.